Gustav Mahler’s writing for the organ is confined to a few chords and pedal notes mostly supporting the chorus in the Second and Eighth symphonies, and a breathtakingly unidiomatic pseudo-continuo role in the first movement of his Suite after the Orchestral Works of J S Bach. 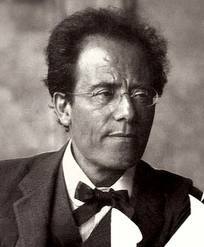 True, Mahler himself recognised the un-organistic nature of his writing in that last work by suggesting that what he wrote was “a sketch which should bear, in general, the character of a free improvisation”; in other words, “don’t play what I’ve written, make up something better”. One could suggest that Mahler’s Jewish heritage effectively closed the door on the organ for him: but that does not hold water, not least because he DID use it in two works which celebrate Christian ethical concepts. Perhaps he considered the organ too inseparably associated with religion to put into a secular score: yet how does that square with his use of it in a work which celebrates Bach’s secular rather than sacred music? No, there is some other reason why Mahler avoided the organ – other, of course, than the obvious conclusion that he disliked it. Perhaps the fact that he spent much of his professional life in Vienna holds the clue. It might seem odd to suggest this, but let’s look at Viennese-based composers and the organ. Haydn, Mozart and Beethoven all played the organ to a level at which they were at various times employed as professional organists, yet they seemed to avoid it like the plague when it came to writing serious music. Schoenberg, Berg and Webern also gave it a miss as did the Strauss family – the only organ writing I can recall in Johann Strauss the younger is his weird but charming Hochzeits-Praeludium which is hardly a work intended for public consumption. Bruckner, you would have thought, would have put the organ in just about everything he wrote. But no, he may have treated the orchestra like an organ, adding and subtracting instruments like an organist pulling out and pushing in handfuls of stops, but when it came to combining organ with an orchestra, he never did it. Franz Schmidt did – and to good effect too – but he is hardly a household name, and neither in Anton Heiller who was one of the very few Viennese composers to write a substantial body of organ music. So, can we suggest that living in Vienna prejudices a composer against the organ? That might explain Mahler’s reluctance to add such a potent colour to his orchestral mix. But there is more to it than that. Mahler seems not to transfer to the organ even at the hands of someone especially gifted in turning orchestral music into organ sound. Apart from a handful of transcriptions of the Adagietto from the Fifth Symphony, few have tried to transcribe Mahler for the organ. Yet his large and colourful scores, with their vast dynamic and expressive range might seem natural fodder to a keen transcriber. 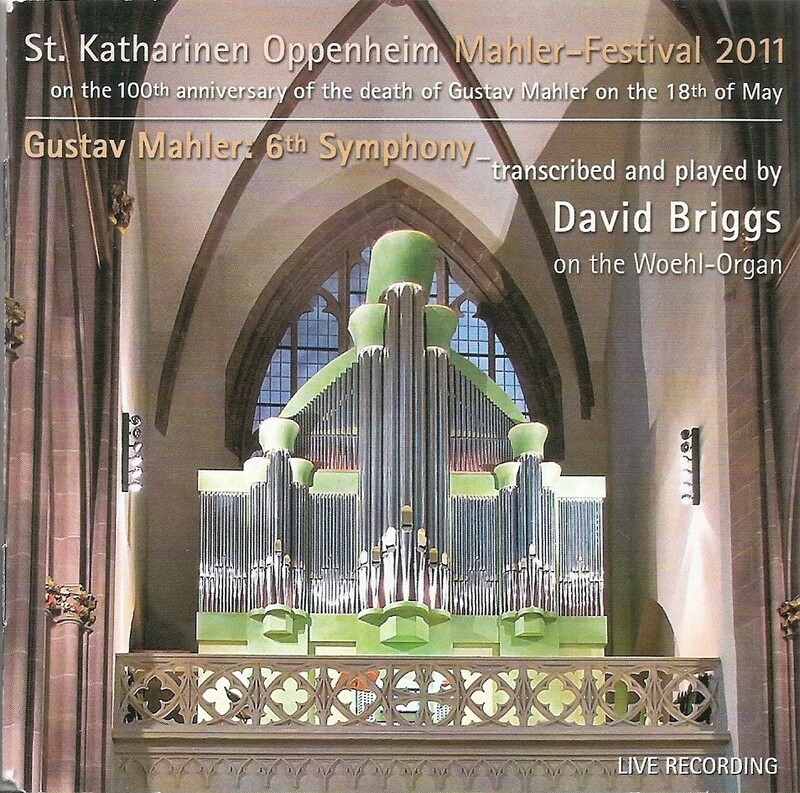 One who has done much to put Mahler on to the organ is British organist, improviser extraordinaire and assiduous transcriber, David Briggs. I’ve just reviewed (for Gramophone) a recording of his transcription of the Sixth Symphony and found the experience, to put it in a nutshell, weird. It doesn’t sound like Mahler at all, and one is painfully aware how much aimless note-spinning there is in the original score. Nothing sounds right or natural, and while Briggs gives a devastatingly brilliant account of his music, and the mere fact that he has transcribed this massive score in its entirety, is evidence enough of an extraordinary musical talent, one is left ultimately wondering why he did it. It certainly offers no new or valuable insight into Mahler’s creative process and certainly doesn’t add anything of significant value to the repertoire of the organ. The fact is Mahler and the organ just don’t go together.